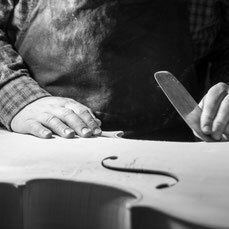 Since we set up our own workshop in 1999, a lot of newly built violins, violas and cellos left our workshop to be played all over Europe. 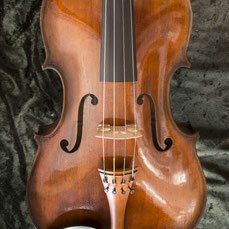 All our instruments are based on old Italian models like Stradivari, Guarneri and Montagnana. We only use carefully selected, seasoned wood and execute every step in a traditionally way like the old masters did 400 years ago. The result: Instruments with a colourful sound, giving musicians a wide range to express themselves. Our instruments do carry very well, still remaining a soft tone quality. 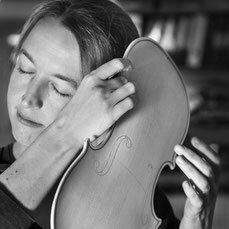 Violin made by Barbara Gschaider based on Guarneri del Gesu: "This model does have slightly wider middle bouts, giving it a rather dark sound. To increase the effect, I gave my violin a little more strength around the edges. As the front wood grew extremely evenly, I was able to go for rather thin thickness in the middle. So this combination gives me a strong sound still being soft." We are known for our violas all over Europe. Learn more. Cello made by Georg Gschaider based on the "Davidov" made by Antonio Stradivari: "I particular love that model, because it carries very well still the sound is mellow. On my cellos I always take special attention to the neck: I build in an inforcing bar at the neckroot to make sure the neck will move less, because less movement of the neck means more freedom to the body, were the sound comes from.